Sometimes people that are going to ship cargo from the USA overseas may misunderstand the meaning of cubic meter in international cargo transportation services. This web page should help you to understand the meaning of cubic meter in respect of transporting freight from the USA by sea. It should also get you a better idea on how big your shipping cargo is at a time when you calculate an instant price quote with our real-time online freight calculator. Here are abbreviations commonly used in international cargo transportation from the USA by sea: Cubic Meter = CBM, CM, m3. Cubic foot = CBF, CF, ft3. What is the CUBIC METER? 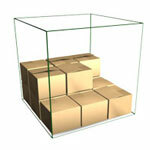 One cubic meter is a considerably large volume for your ocean freight shipment. A cubic meter is a measurement of volume, that takes your ocean freight shipment, and it is equal to the space of one meter wide, one meter long and one meter high. 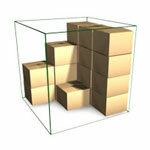 These images should help you get an idea on how much cargo you can fit inside of volume of just ONE cubic meter. Technically cubic meter could be any combination of lengths as long as all three dimensions (in metric meters, inclining fractions) multiplied together will result to 1. I. Cubic Meter in LCL. Less than Container Load international ocean freight service. LCL Sea freight service is the most economical way to transport a considerably large volume of cargo overseas. Another advantage of using LCL Sea freight is if you transport LCL, then typically WEIGHT OF CARGO IS NOT A PRICING FACTOR. (This statement is not valid if you carry extremely heavy cargo. Find about W/M limitations in respect of cargo transportation below). Unlike with parcel service or in airfreight, when shipping from USA LCL, freight rates are primarily based on volume but not on the weight of shipping cargo. LCL Sea freight price quotes in international transportation are based on ocean freight rates per cubic meters (or cubic feet), but the weight of the load in kilos or pounds. When calculating international shipping price quotes in LCL, shippers should not worry about the importance of cargo. If you transport by LCL, then disregard the weight of your cargo. (This rule applies if you transport with the international shipping company (ocean freight forwarder or NVOCC). This rule may not apply if you are dealing with a global moving company). If you ship from USA loose boxes, using LCL Sea freight service in your international shipping, then these pictures should give you an idea on how shipping boxes may fit into the volume of one cubic meter. *IMPORTANT: INTERNATIONAL LCL SEA FREIGHT RATES ALWAYS HAVE MINIMUM CHARGES ON ENTIRE SHIPMENTS. In this example, if the rate is $125 per CBM / $125 minimum charge, then you always pay $125 till volume your cargo go over one cubic meter. Typically (but not always) minimum charges in LCL Sea freight rates are equal to costs for shipping of cargo of volume of one cubic meter. You should always remember that if your total shipping volume multiplied by LCL Sea freight rate per CBM will be less than the minimum in the ocean freight rate, then you will be charged that minimum regardless on an actual volume that you are shipping. In your international cargo transportation from the USA, using LCL Sea freight shipping service, you can ship overseas any volume, sizes of boxes and crates. 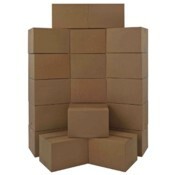 You can mix and match shipping boxes of any sizes. 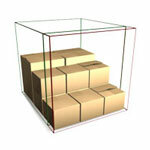 You can ship boxes, crates, luggage or any other cargo adequately packed and labeled for the international shipping. The only limitation is that all your transporting units must fit into 40' multimodal container. Once again: All this information may not apply to ship goods with international moving companies. This information should get you an idea on using international shipping services provided by international shipping companies (U.S. Freight Forwarders or NVOCCs). 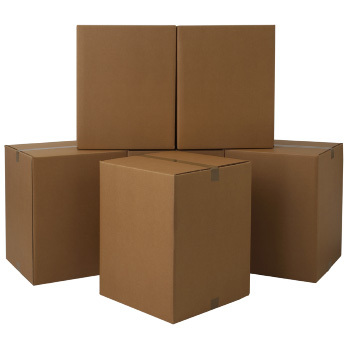 Information related to international moving companies services is widely available online. 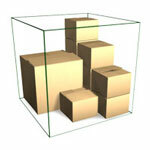 Contact international moving companies to find particular service packages. Compare prices on international cargo transportation from the USA by sea. W/M is the acronym for Weight or Measurement commonly used in international and domestic cargo transportation industries. It means Weight or Measurement, whichever is greater. W/M rule presents cargo density limit. I.e., when transport cargo, light cargo is charged based on the measure, while heavy cargo based on the weight. W/M calculations may differ among carriers. INTERNATIONAL OCEAN FREIGHT MODE OF TRANSPORTATION. SHIPPING LCL FREIGHT FROM USA OVERSEAS: Since cargo vessels capacity is not really limited by weight of cargo but by a hold of ships, then charges on regular sea freight shipments are based on the overall cargo volume but the weight. Typically, in international cargo transportation from the USA by sea, the weight of cargo is not a pricing factor. However, if you transport extremely heavy cargo, a cargo density limit takes place. It called "w/m - weight or measurements, whichever is greater". It varies depending on vessels, international ocean freight carriers, origins, and destinations, etc. Regular international sea freight shipments most likely will not exceed the density limit. In general, when transport cargo from the USA by sea, you should be aware of this "U.S. 45 lbs Rule: 45 lbs = 1 Cubic Foot". This means that if a density of cargo in international LCL sea freight shipment exceeds 45 lbs per one cubic foot, then chargeable shipping volume (total shipping cost of such shipment) will be calculated using this formula: Total Weight of ocean freight in pounds divided by 45 lbs = Chargeable Volume in cubic feet. The similar limit is in metric calculations: "1 cubic meter = 1000 kilos rule" can be used as well. It called METRIC TON. However, in international cargo transportation from the USA by sea, depending on a vessel, ocean freight carrier, origin, and destination, etc., the w/m limit may vary: 1 cbm = 750 kilos; 1 cbm = 500 kilos, etc. If transport from the USA by sea, then at a time of quoting or booking ocean freight, keep in mind w/m limit. In other words, if shipping from the USA an extremely heavy cargo, then pay attention to the w/m limit. INLAND MOOD OF CARGO TRANSPORTATION WITHIN USA: Note that in respect of shipping cargo from the USA by sea, this applies on shipments (price quotes) with adding services on inland cargo transportation within the USA: Cargo pickup or line-haul on top of ocean freight. This not applies to shipments (price quotes) self-delivered to ocean freight carriers terminals (called CFS - Container Freight Stations). In shipping LCL Sea freight from the USA, typically, the inland part of cargo transportation supported by U.S. LTL trucking companies. LTL means Less than Truck Load. Do not confuse with LCL. Chargeable (Dimensional) Weight in Pounds = Actual Weight of the freight OR (Length x Width x Height in inches) divided by 194, whichever is greater. In LTL transport, cost of cargo transportation, besides dimensional weight, also depends on Freight Class. Freight Class depends on the type of transporting goods. You may find more about dimensional weight and freight class in the relation of sea freight shipping from the USA in this link. In respect of international cargo transportation using FCL service, international FCL (Full Container Load) ocean freight rates are based on sizes on ocean freight containers, but on weight or volume of shipped goods. 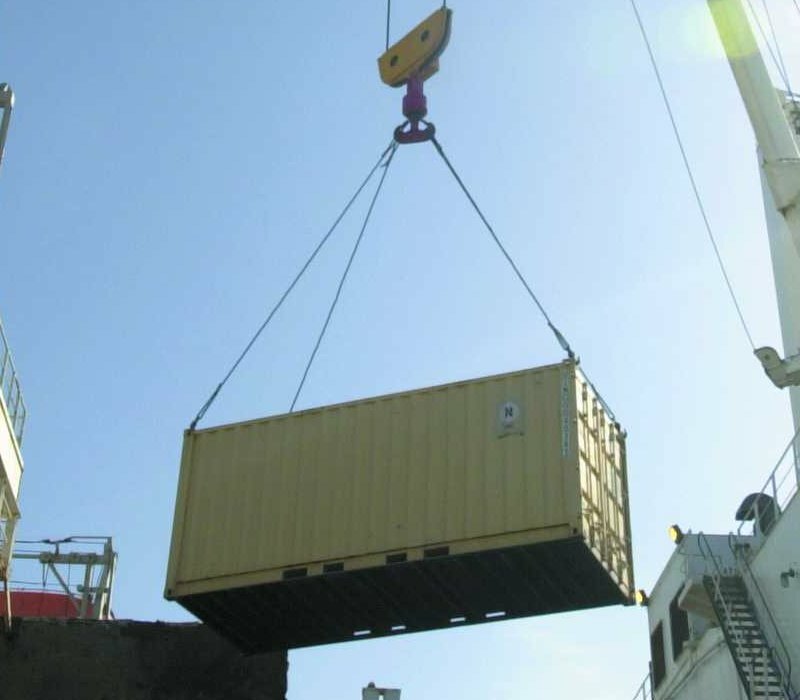 International shippers should pay attention to CUBIC CAPACITIES AND PAYLOADS of multimodal sea freight containers that they are going to use on shipping cargo from the USA overseas. *Payload weight in international cargo transportation by sea exceeds legal over-the-road limits in the United States of America and Canada. Recommended maximum payload for containers transported within USA and Canada is 35,000 lbs per 20' and 42,000 lbs per 40'. International ocean freight rates with international shipping companies that provide Ro-Ro service are based on the volume in cubic meters or cubic feet and type of shipped vehicles. I.e., the bigger a vehicle is, the higher the international ocean freight rate per cubic meter or cubic foot and the total transportation cost will be. A total shipping cost in international shipping using Ro-Ro ocean freight service will be calculated as an overall volume of your vehicle transported from the USA overseas in cubic meters or cubic feet multiplied by an ocean freight rate per cubic meter or cubic foot. Exemptions can be sea freight rates on shipping cars from USA Ro-Ro. 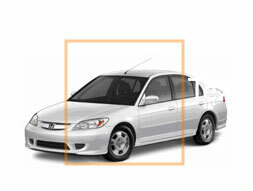 It can be a lump sum per vehicle depending on the vehicle size. For example: Sea freight rate on cars of overall volume up to 600 cubic feet and up to 1.6 meters height from the USA to a particular country is $1,300 lump sum + BAF & CAF etc. However, you may notice that the "lump sum" on transport your car is actually related to a range of volume in cubic meters or cubic feet as well.